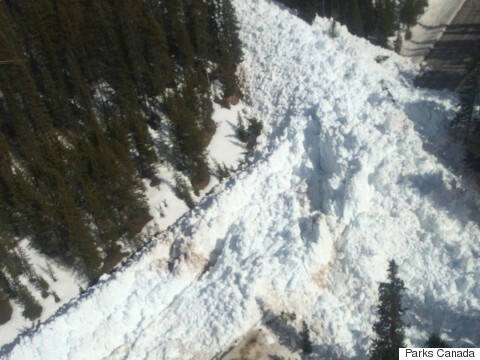 A so-called "controlled" avalanche in Alberta ended up being a bit bigger than crews expected — so large, in fact, that it completely buried the highway below, making it temporarily impassable. Control crews were working near Lake Louise Thursday, mitigating the high avalanche risk in the area, when a triggered slide on Mount Hector brought down way more snow and ice than intended, said Parks Canada in a statement. The snow spilled onto the Icefields Parkway below, creating a massive bank more than 100 metres long and 15 meters deep. Highway 93 between the Trans-Canada and Highway 11 has been closed until further notice. An employee of the Sunwapta Falls Rocky Mountain Lodge posted a dramatic photo of the snow wall to Facebook with the caption "Beautiful Mother Nature is also extremely powerful!"